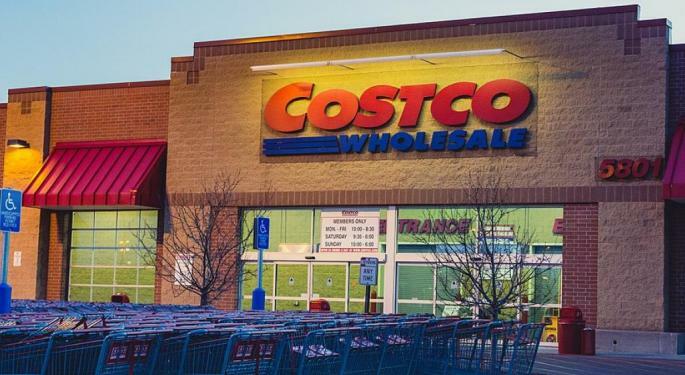 Costco Wholesale Corporation (NASDAQ: COST) reported Thursday its fiscal first quarter earnings, which exceeded what analysts anticipated across many metrics. Morgan Stanley's Simeon Gutman maintains an Equal-weight rating on Costco's stock with a price target boosted from $165 to $175. Costco's "solid" fiscal first quarter earnings report was highlighted by an 8.7 percent gorwth in ex gas comps, the strongest reading the company has shown "in recent history," Gutman said in a note. Moreover, EPS of $1.36 rose 16.5 percent from a year ago, but surprisingly the core gross margin was "relatively flattish" in the first quarter where the company lapped significant credit card income ($35 million in first quarter 2017, or 13 basis points of gross margin benefit). "The implication is after being aggressive on price investments in F'17 when CC income was flowing at a higher rate, COST is now harvesting these benefits which is boosting earnings growth," Gutman said . "This should continue for at least another quarter." The analyst isn't ready to recommend buying the stock for two key reasons. The stock's 20 percent return since early November makes it hard to make the case for continued multiple expansion. It would be difficult for the company to report earnings upside versus the Street's expectations as analysts are already modeling a 12 percent EPS growth versus the long-term average of 8.5 percent growth. 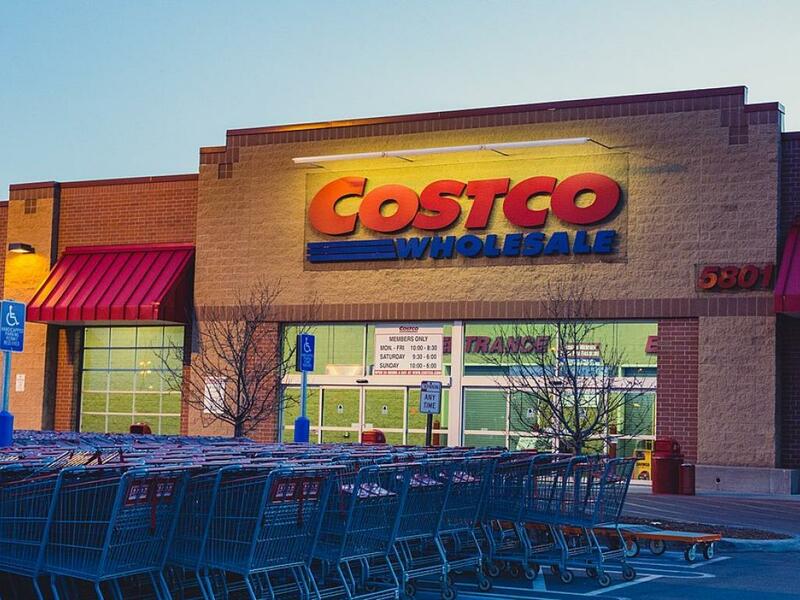 Bottom line, Costco's stock "has rarely been inexpensive" and trades among the highest valuation retail but a premium valuation with "moderating growth is not a recipe for share price out performance." Shares of Costco were trading higher by nearly 3 percent ahead of Friday's market open.